The TV industry is dipping its toes into blockchain, the cryptographic technology with the ability to track rights and maximize the monetisation of content. Arqiva, which provides much of the infrastructure behind television, radio, satellite, and wireless communications in the U.K., has teamed up with music blockchain start-up JAAK to organise a decentralised TV rights database which users can connect to via a micro licensing app. “Rather than execs worrying about where to put Bitcoin on their balance sheet they should start by asking ‘What can it do? What problems it can solve?'" argued Nick Moreno (right), Arqiva’s director of strategy for satellite and media, speaking at IBC in Amsterdam. JAAK set up a similar pilot last year for the music industry, with BMG, Global Music Rights, Phoenix Music International Sentric, and Warner Music Group. Moreno suggested he was acting on feedback from Arqiva customers which include the BBC, Sky, Sony, Telefonica, Al Jazeera, BT, Canalsat, Fox, Eurosport, and NBCUniversal. The TV pilot will run from October to mid-2019, and will cap its participants at 10 including a national broadcaster (which could be ITV), at least one multichannel video operator, and a number of rights holders on both sides of the Atlantic. The names won’t be disclosed until 10 of them have signed up. Streaming Media understands that Netflix and other classic SVOD providers are not part of the pilot. Each company will be required to make a small payment, offer up some of its content, and contribute descriptive and rights data for the database. The pilot requires hundreds if not thousands of hours of assets be loaded into the database and be fully searchable. The database could include automated smart contracts with real-time tracking and payment between licensees and licensors. “By putting licence holders and licensees together using blockchain then business should be more efficient, more secure, with less waste," Moreno said. If successful, this “private sandbox” could be rolled out wider and commercially in the second half of 2019. 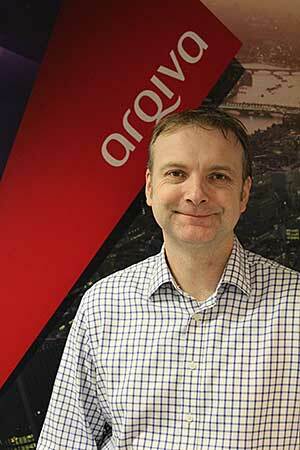 He stressed that neither Arqiva nor JAAK or any participant in the pilot will own the database. One, in which Arqiva does not play, is in simplifying the advertising value chain where blockchain might eliminate the “huge number of intermediaries between actual advertisers and media channels.” This use case would bring ad inventory and advertisers together. The second is more intriguing and focuses on streamlining distribution. The idea is to enable ultra-local peer-to-peer distribution similar to the Napster model for music. Moreno acknowledges that these are very early days and there are no known pilots of this, but why not at least explore the possibility? One challenge for this approach is that video files are vastly larger than music files and no smartphone is going to cope with storing an episode of "Game of Thrones" today, but who knows what the future holds with advances in compression. Also speaking at IBC 2018 is SingularDTV which is looking to produce and distribute content using blockchain technology. Based in Switzerland and New York, the company has developed a slate of film titles, including the feature "The Happy Worker," on which David Lynch is an executive producer. In early 2019, the company will put these and other titles through a blockchain-powered, on-demand hub that will enable viewers to download content in exchange for digital currency. SingularDTV relies on a tokenised ecosystem using a local cryptocurrency called SNGLS to help artists and creators benefit from transparent media production and distribution. “This is the beginning of a next great tech boom where trillions of dollars' worth of real world assets will be decentralized and placed onto the blockchain in the coming years,” declared CEO Zach LeBeau. Start-ups Flixxo, LiveTree ADEPT, and Treeti are also using blockchain to launch content projects that rethink how content is funded and delivered. Flixxo aims to become a decentralised YouTube, paying its users in crypto tokens for being part of a peer-to-peer ecosystem for video content and advertising. Film and TV crowdfunding outfit LiveTree, meanwhile, has built a blockchain-based funding and distribution platform aimed at content creators. The platform also includes a Netflix-style subscription service, Blossom, which allows producers to upload their back catalogue as well as provide new content. Unlike Netflix or Amazon, the creators of content on a blockchain VOD service are able to access behavioural analytics in real-time to see who is watching their content and understand what works and what does not. Arqiva, the UK's largest transmission provider, will launch a VOD service based on the Kangaroo technology, in the hopes of preempting Hulu from taking hold.